Currently viewing the tag: "Safety"
When you really need to hit the off switch, will you be able to find it? 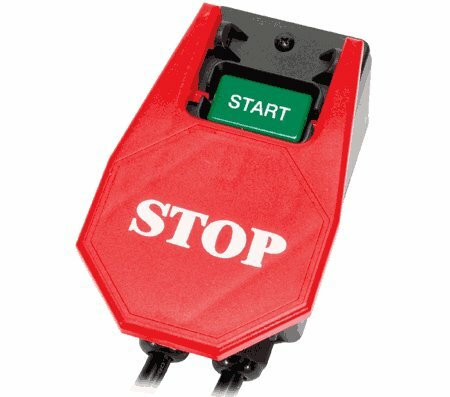 With a paddle-style safety switch like the one above, you won’t need to waste precious seconds searching — you just bump it with the nearest knee, elbow, or other close body part to turn off the machine. Working on the roof can be dangerous, especially the steeply pitched ones. I’m not going to tell you that it’s something best left to the professionals, because it really burns me up when people shill like that, but I am going to say that you might want to think about using a safety line if you do go up. Your eyebrows are supposed to keep sweat out of your eyes, but sometimes we perspire so much they can’t divert all the sweat streaming down your forehead. You could wear a sweatband, but not everyone wants to rock the 1980s Richard Simmons look. 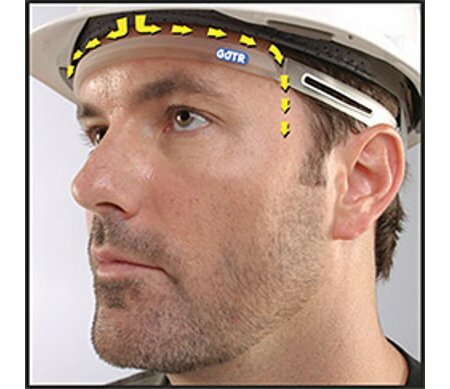 The Sweat GUTR from Glove Guard is the hip new way to keep sweat out of your eyes. How do we know it’s hip? Because they leave out the E between the T and the R (not to mention the second T) just like pop photo-sharing site flickr. Getting from the top of the ladder to the roof or an upper landing surface isn’t always the most graceful operation, especially if the ladder is a bit short so that it doesn’t extend three feet above the surface, like OSHA requires. 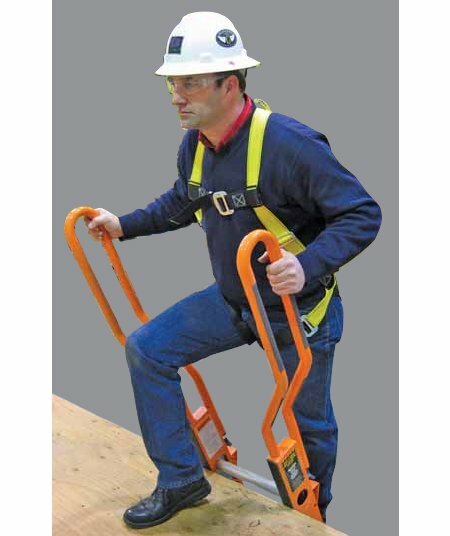 Attach the Safe-T Ladder over the top of your ladder, and you’ll have some nice solid offset hand holds to help you step up. Whether you created the emergency with the P.O.G.O. 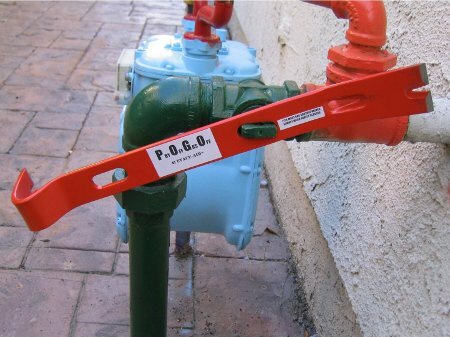 Pry Bar in the first place or the cause was totally unrelated, the P.O.G.O Pry Bar can help you shut off the gas before the situation gets any worse. 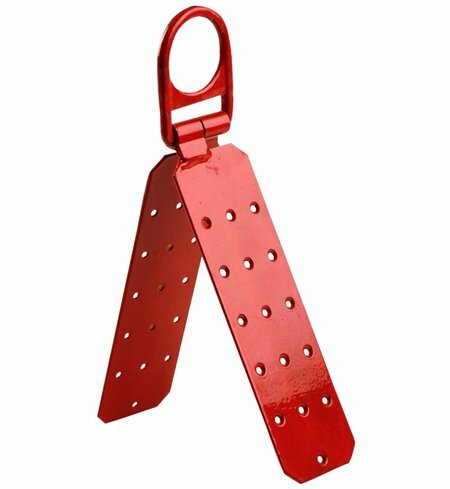 BRW intended the pry bar to be used in search-and-rescue applications — P.O.G.O. actually stands for Pry Off, Gas Off. The fact that it looks like a pry bar anybody might have in the toolbox just means that it’s a pretty useful design in a number of situations. After we sprung ahead into Daylight Savings Time, I changed the batteries in all my smoke detectors. Since we’ve lived in our house over ten years now, I figured I’d also take the time to replace the last of the old smoke detectors installed by the previous homeowner. Imagine my surprise when I take one of the old detectors down, start to remove the bracket, and find drywall anchors sunk into the floor joist. I can think of two reasons why the anchors were there: the previous homeowner drilled holes that were too big and used the anchors to reduce the size of the holes, or the previous homeowner didn’t realize you don’t need drywall anchors in wood. Given some of the other repairs I’ve uncovered, I’d guess the latter, but maybe I’m being cynical. 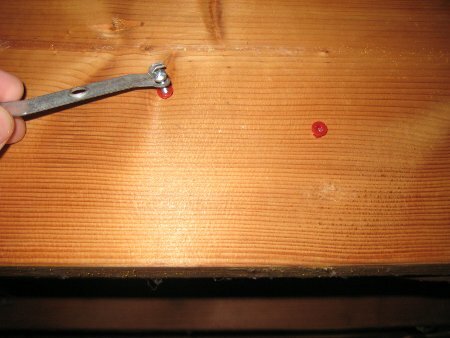 If you have power tools, chances are you’ll probably need a first aid kit someday. 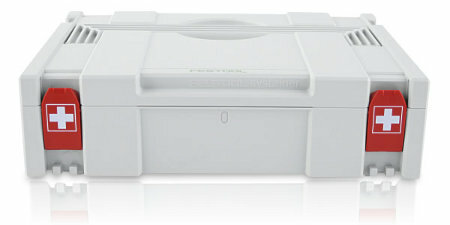 Festool hopes you’ll add their first aid kit to your stack of Festool Systainers and be ready for that day. Festool packs 167 certified ANSI/OSHA first aid supplies into one of their SYS 1 Systainers and marks the red latches with the quasi-universal symbol for first aid. If you do end using it, Festool includes details for reordering supplies with the kit. Festool doesn’t come right out and say it, but they do imply that they are only making a limited number of these Systainer first aid kits. When you do find one, you’ll pay $89. Do you ever get the inclination to look really silly in your shop? Wearing a pair of Shoe Bibs will satisfy that urge and then some. Just make sure that nobody sneaks a picture while you’re wearing them or you’ll be the laughing stock of the Internet. 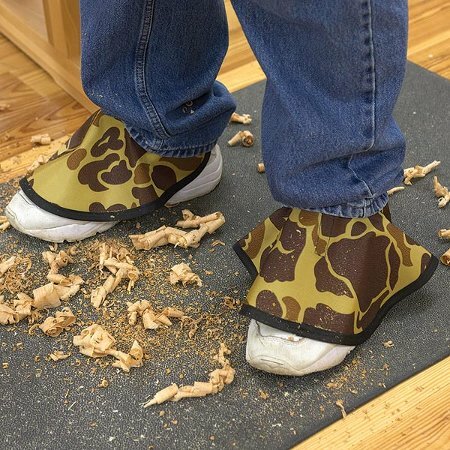 Seriously though, you wear the shoe bibs around your ankles to prevent sawdust and other debris from falling into your shoes and socks. 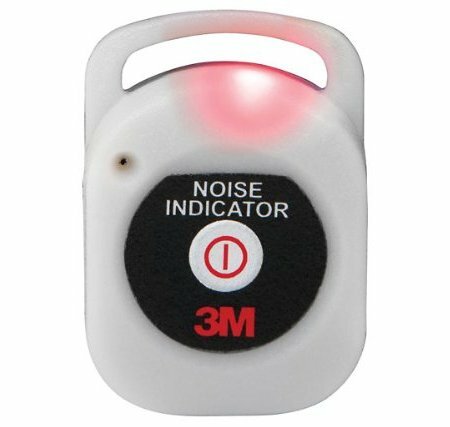 Personally, I don’t really notice any sawdust or swarf getting into my socks or shoes — somehow it finds a way into my shirt or jeans pocket, but fortunately these won’t help. The bibs stay in place thanks to hook-and-loop fasteners, otherwise known as Velcro. Available only in Desert Camo (Really? What are you trying to hide from in your shop? ), fashionistas can pick up a pair at WoodCraft for $20 before shipping. 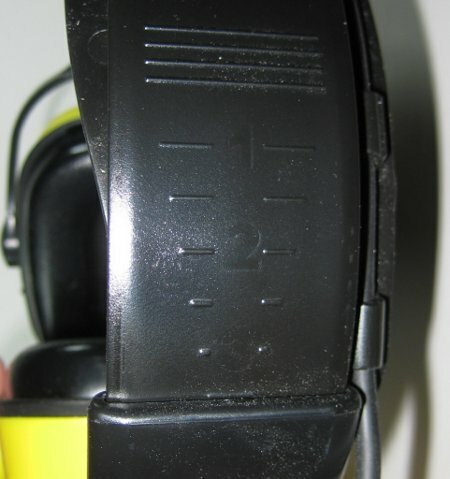 You adjust the size of the headband from both sides of the earmuffs. Each side can travel from the 1 line to one more notch past where it is in the photo, or about 2″. This gives you 4″ of total adjustment. I don’t have a huge head — I wear a size 7-1/4 baseball cap, and I have the earmuffs adjusted to almost full size. 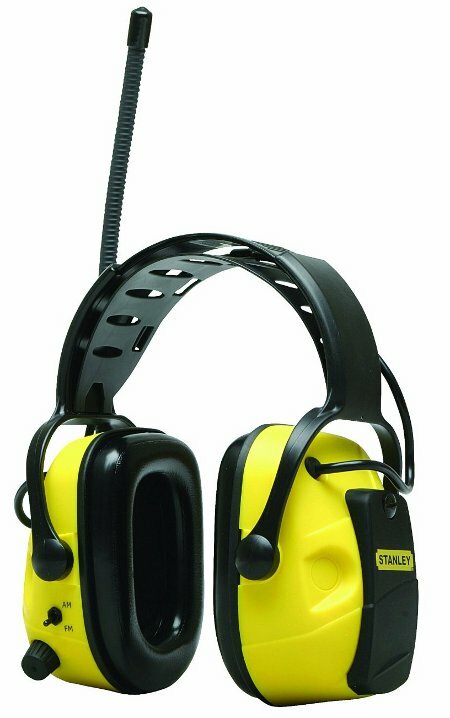 If your head is much larger, I’d start to worry about these earmuffs being too small.